Time and again, MTC has proved that when total professionalism is needed, we are the ones to be called. All memberships include emergency assistance 24hours a day, 365 days a year including all feasts and public holidays throughout Malta and Gozo, from minor breakdowns such as battery boosts and/or replacement, fuel supply, unlocking of vehicles, spare wheel replacement to more serious situations, for instance accidents etc. Our professional staff will make every effort to ensure that all emergencies are quickly and safely dealt with. APPLY OR RENEW ONLINE NOW! Kindly contact MTC for rates of commercial vehicles exceeding 4000Kgs. Exempt supply in accordance with Legal Notice 227 of 2015..
● 10% discount for more than one vehicle under same address. ● 15% discount for group memberships of more than 10 vehicles under same address. ● Non-members who choose our MTC Repair Centre for the car service, will be granted EUR 15.00 discount if they subscribe their vehicle with MTC. 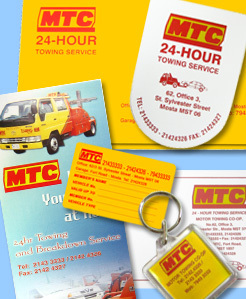 ● If you are already a member, recommend MTC to a friend who’s in need of a towing / breakdown service and a 15% discount will be granted to the non-member upon confirmation of your membership details. ● Non-members are given a EUR 15.00 discount if they enroll the vehicle as a member when our assistance is needed, such as a tow or repair on the spot. Motor Towing Co-operative has no other connection with any other towing companies.